If you find the right volunteers at the outset, the right volunteers will find you in the future. Here's how. Finding volunteers to support your mission can be a challenge. Nonprofits often experience feast or famine — too many volunteers at an event with nothing to do, or a lack of help when it's needed most. And it's not just about number of people. Each nonprofit needs particular skills and personalities. The good news is that targeted techniques and an organized, year-round recruitment effort can help you attract talented and dedicated ambassadors for your cause. Most people volunteer to give back and because they want to see meaningful change in their communities. They feel fortunate in life and want to pay it forward. Your nonprofit can benefit immensely by harnessing the energy and experience of these enthusiastic people. The real secret to a successful program is helping your volunteers feel personally connected to the work. Not only will they be great volunteers themselves, they'll become your best volunteer recruiters. Start by understanding the needs of your organization. Identify the positions that should be filled and the skills that will prove most valuable — and then draft a recruitment message that targets the appropriate audience. As research, ask board members, staff and past volunteers what the mission means to them. Why did they get involved? What has the experience taught them? What do they want people to know about your nonprofit and the lives it has touched? In addition to your general recruitment message, consider how to make it more specific as fundraising campaigns approach and various other needs arise. Tell the world what you need to make a difference now. That could be anything from volunteers with experience in web analytics to mural painting. Once you have your message, amplify it. You can't afford to simply post the message on your website and wait for the calls to roll in. 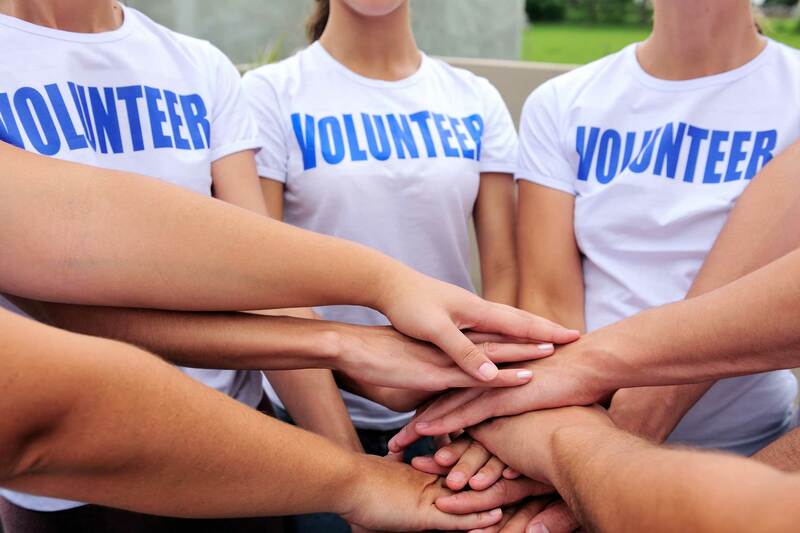 The responsibility of recruiting great volunteers should fall to everyone in the organization. Word of mouth is one of the best recruiting methods, since people are more inclined to say yes when asked by someone they know. Spread the word on your own social networks and encourage staff and existing volunteers to do the same. Beyond the personal network of staff and volunteers, there are many options for widely disseminating your recruitment message. Get connected with websites listing local volunteer opportunities. Attend volunteer fairs. Contact members of the media who are known to the organization. It could lead to a profile on the evening news or a spot on public radio. Ask VIPs in the area to volunteer and document their experience for your social media channels. Above all, make sure you're speaking to people from diverse backgrounds and age groups. Diversity will strengthen your program in the long run. It's up to you to decide which volunteer positions require the highest level of screening. If someone is volunteering to hand out water bottles for a couple of hours, comprehensive vetting could be over-the-top or even off-putting. The goal of the screening process should be to find a good fit for the organization and the volunteer. Whenever possible, a face-to-face interview with a volunteer prospect is ideal. It gives the volunteer a chance to meet key staff members and other volunteers. It's also an opportunity to discuss your organization's mission and get a sense of what's motivating the volunteer to help. An interview will be far more illuminating than a few sentences on an application and may be invaluable when you're determining where the person would make the most impact. In the world of mission-driven organizations, a volunteer experience often goes one of two ways: the volunteer feels needed and integral to the big picture or extraneous. Perhaps the decision that matters most, then, is where to place a volunteer. Proper placement can make all the difference in a volunteer's level of satisfaction and likelihood of returning. The golden rule of volunteer recruitment is quality, not quantity. Managing a large number of volunteers who don't meet your needs can be more trouble than it's worth. However, investing your time and resources in the recruitment process can help you gain serious teammates who can pick up the slack and help you grow. You might even expand your pipeline of future employees or project staff. Best of all, if you find the right volunteers at the outset, the right volunteers will find you in the future.